Have you ever wished you could customize a cookware set for the way you love to cook? Well now you can, with Your Set by Calphalon. I was lucky enough to receive two incredibly versatile pieces, and I used them for some of my favorite dishes. See how I used the AccuCore Stainless Steel 3-quart Sauté Pan for My Set, My Healthy Chicken Stroganoff. Click here to read my post and enter for a chance to win one of 16 prizes worth $8,500! You can win a $1,000 cash gift card or one of 15 $500 Your Set by Calphalon gift cards so that you can build your own perfect set! Click here to start customizing Your Set right now! There’s nothing like a one-pot dinner that’s also heathy — and seriously easy to make. With the help of a seriously amazing AccuCore Stainless Steel 3-quart Sauté Pan, I had dinner on the table in no time and in serious style. 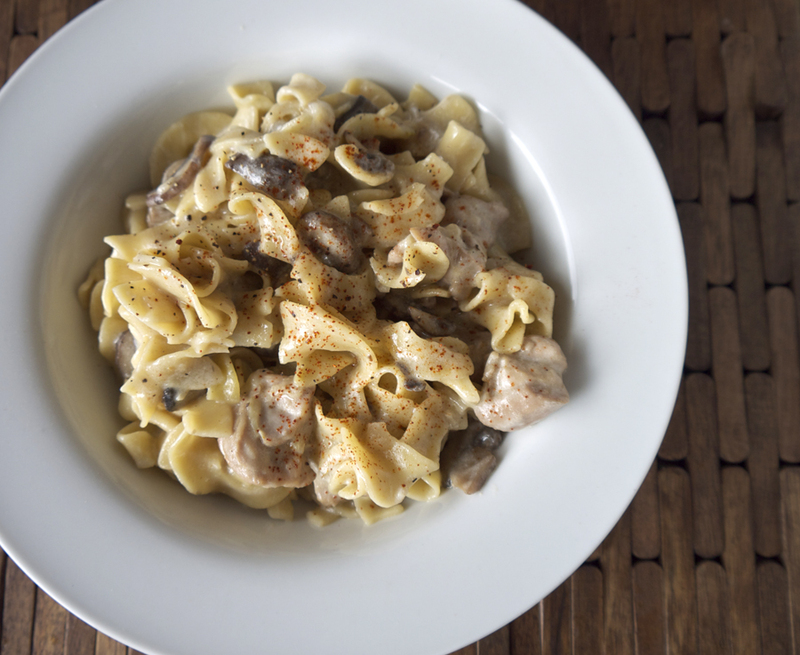 I’m always trying to find ways to put a healthy spin on dishes and experimented with a twist on the traditional stroganoff by using skinless boneless chicken thighs and swapping sour cream for yogurt. Along with being a quick and easy dish, this meal comes together in one pan, making it even better. And if your family isn’t excited about mushrooms, swap for spinach, kale, or an extra onion. Constructed from stainless steel, the AccuCore pan is built around a copper base, with layers of aluminum for even distribution, perfect for searing or braising. I love that the 3-quart sauté pan comes with a tight fitting lid, perfect for making one-pot dinners. 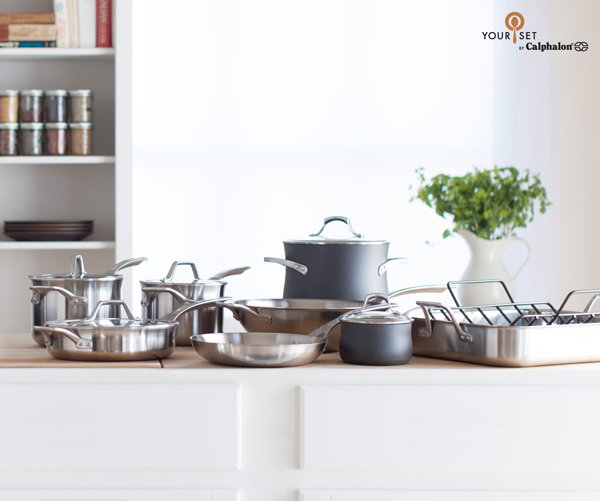 And you can mix and match pans to create your own perfect Calphalon set. AND, while you’re checking out the pans, enter to win your own set of pans! Head on over to Relish for my recipe — and watch the video I put together sharing just how easy it is to make.